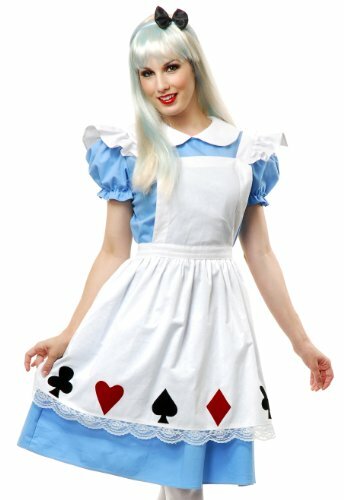 Blond Alice wig with shoulder length hair. Before your trip down the rabbit hole, be adventure ready with this Adult Blonde Alice Wig! You’re going to spend enough time having a psychedelic adventure, why worry about what’s on your head? Very cute traditional Alice in Wonderland dress with card suit motif on the apron.